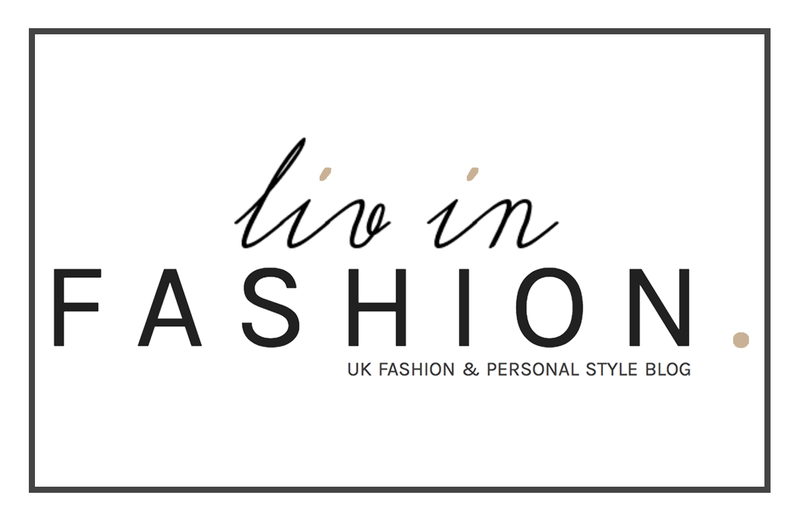 SS16 Trend: Pyjama and Boudoir | liv in fashion. 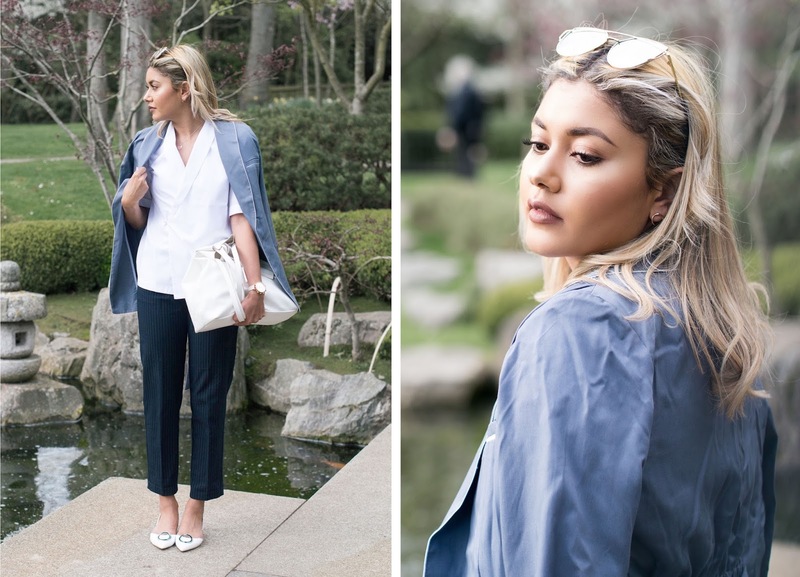 SS16 has brought with it some of my favourite trends to date. Poplin, silk, satin, lace, frills, cold shoulder - you name it, I'm both mentally and physically invested. I was challenged, as part of an exclusive competition by Farfetch (if you haven't heard of them - be warned. 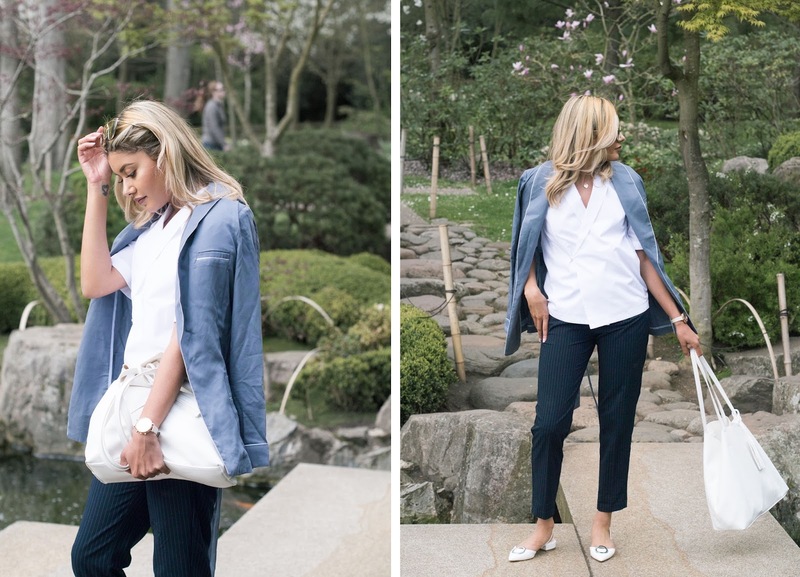 Beautiful designer things EVERYWHERE), to style my own take on one of the four major trends this summer and yep, you guessed it, never one to shy away from mixing style and comfort, I quite obviously chose pyjama. 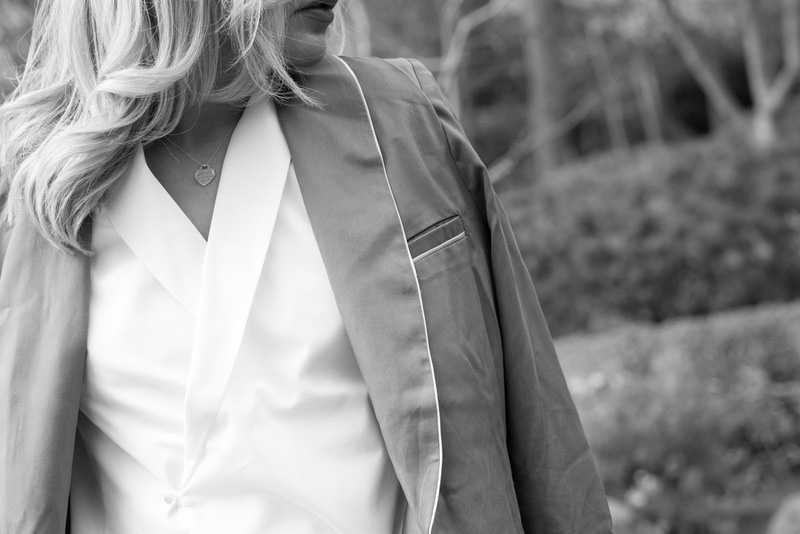 Now, as much as I adore the 'full suit' pyjama looks and am pretty much captivated by the most stylish, swishing around town and in magazines wearing them, it's not always practical, nor are a lot of us brave enough to follow suit (follow suit, get it?! HA!). 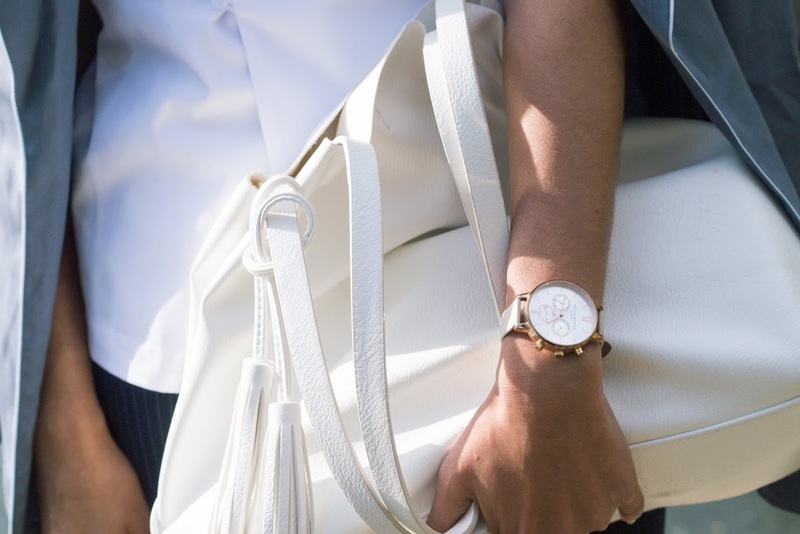 I wanted to show how you can incorporate the trend more subtly into your everyday style by simply using 'inspired' pieces and pairing them with items you most probably already own in your wardrobe. 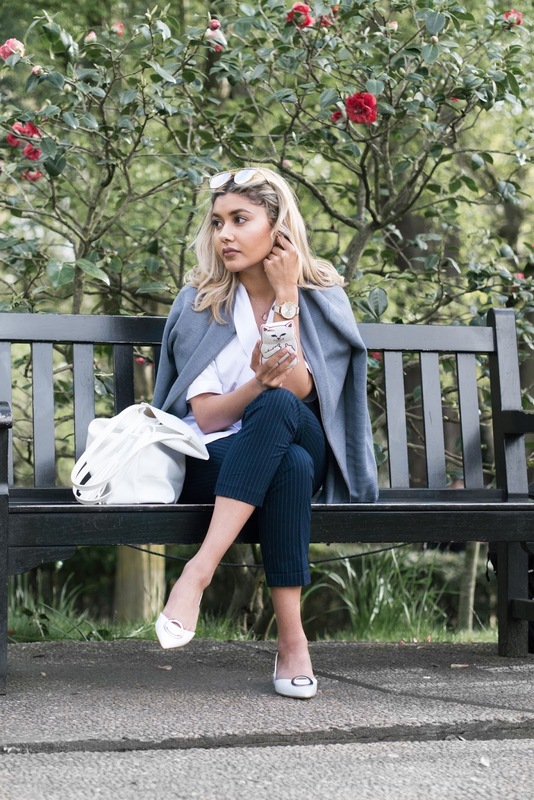 Example being cigarette pants; a massive past trend that almost everyone and their mums got involved with because it's a nice alternative to the ever-favourite denim, and provides the perfect amount of 'smart' to carry you straight from office to night out. This pinstripe pair have been in my wardrobe for a couple of years now and aside from being timeless, have been an absolute saviour when it's come to meetings, interviews or even last minute alcohol-fuelled endeavours. It really does go to show just how much fashion repeats itself when I compare this last year's, H&M jacket purchase to the almost identical styles available now. This did actually end up on my depop for quite a while before I decided to be a greedy sod and rapidly remove it to keep all for myself (I know, HATE me!!!). The wrap top was a nifty ASOS sale purchase which is unfortunately out of stock, though these two beauties (here and here) should hopefully fill your white shirt void. You don't have to jump straight in with the silk and satin fabrics if that's out of your comfort zone; a simple, cotton wrap shirt will give an equally sleek 'pyjama' effect without suggesting that 'fresh outta bed, didn't bother to get changed' feeling (which, don't get me wrong, I am a HUGE fan of). 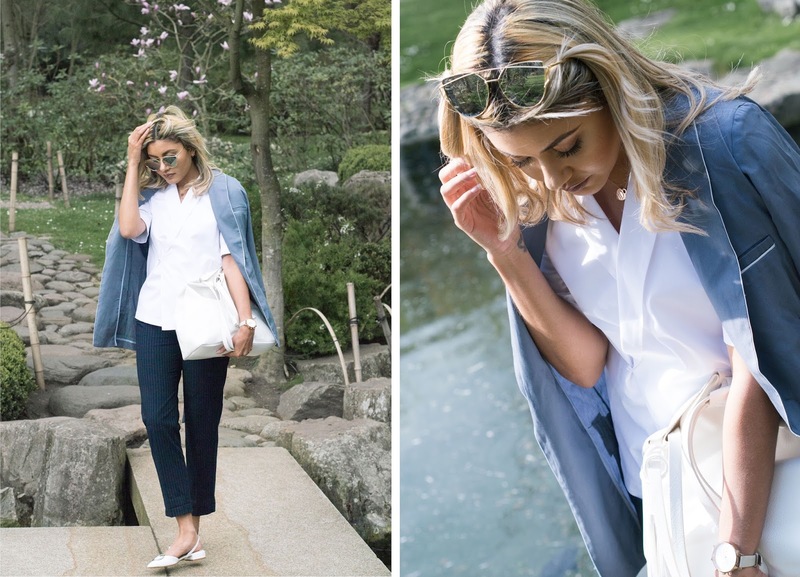 Don't forget to follow me on Bloglovin' to keep up with all my latest posts and you can also shop my Instagram directly here!